Free Rafting Photos on every River Tay and River Tummel Rafting Trip. 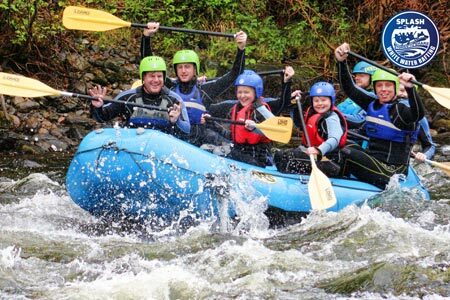 RAFTING & CANYONING IN SCOTLAND | OUTDOOR ACTIVITY STAG WEEKENDS | HEN WEEKENDS & ADVENTURE HOLIDAYS. Over ten activities, the perfect gift for the adventure junkie in your life. Book Your Adventure with Accommodation. Camping to 4 Star, we have you covered. 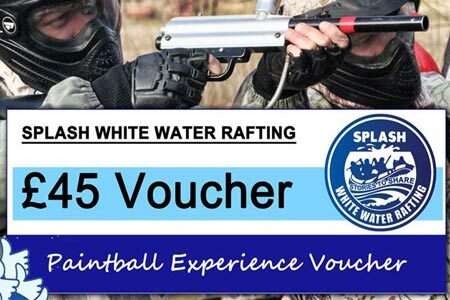 Splash White Water Rafting Scotland are one of the UK’s oldest expert outdoor adventure activity providers. 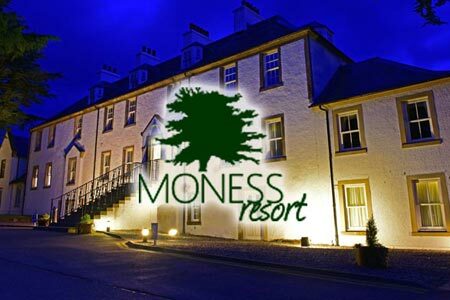 Based in the scenic town of Aberfeldy in Perthshire and at Pinkston watersports centre in Glasgow city centre. 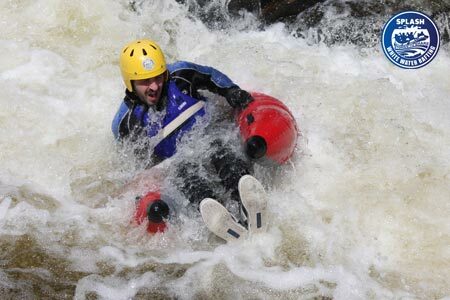 Splash offer the best white water rafting and canyoning in Scotland. More adventure experiences include River Bugs, Duckies, Stand Up Paddle Boarding, Abseiling and Paintball. 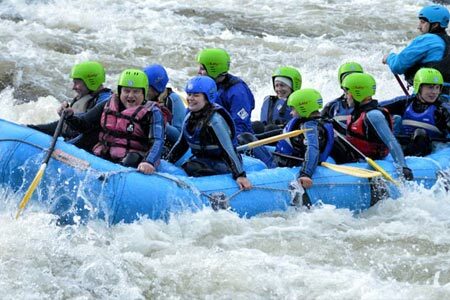 Splash provides every white water rafting trip with free professional rafting photography on all river rafting trips. A day your team will never forget. Over a decades experience working with Charities. Raise funds and have fun. Splash are a well-respected and established outdoor activity provider based in Aberfeldy, with over 17 years of industry experience, welcoming adventure-seekers on our daily activity trips, including white water rafting, river bugging and river duckies on the River Tay, River Tummel and River Orchy, and canyoning in Keltneyburn and Acharn canyons. With the latest safety equipment and safety precautions included as standard, Splash white water rafting provides the experience of a lifetime in a safe environment through our trained and experienced raft guides (trained according to International Rafting Federation guidelines) and staff who maintain a high level of safety. Splash are fully licensed through the Health and Safety Executive’s Adventure Activities Licensing Authority (AALA). Full detailed risk-assessments for each activity are also available on request. Our rafting trips at Aberfeldy and Pitlochry include the following in the price: 1. 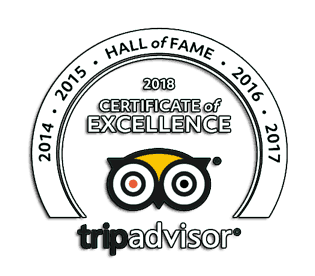 20 plus Years of safely running Scotland rivers on rafts 2.Scotland’s most highly recommended adventure activity company on Trip Advisor with a 5 star rating 3. Luxury 4-star self-catering accommodation and hotel with swimming pool and sauna for those that require overnight accommodation. Also other accommodation options available for those that require to go with their activities. 4. All gear and equipment supplied (no on-site charges when rafting with us) 5. Qualified Guides and Trip Leader on every trip with Operations Manager or Photographer on dry land at all times; 6. Free transport to and from activities from our headquarters if required ( we are base on the river for the River Tay trip so just a hundred meter walk) 7. No lost deposits! 8. Great monthly deals for past customers for Scotland, Morocco, Spain and worldwide atwww.facebook.com/splashrafting;9. Free photography of your rafting (our competitor’s charge!) 10. Will-not-be-beaten-on-price guarantee. Finally (but most importantly) a fun and adventure-packed adrenaline-packed experience – run as safely as our years of experience can make it.All our rafting trips can be combined with our other adrenaline buzzing adventures like River Bugs and Canyoning. 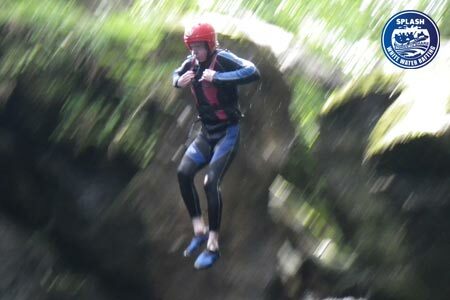 If you like the idea of jumping, swimming, walking and even abseiling down the river, then canyoning is for you. A unique activity that sees you work with our highly trained canyon guides to descend through a steep gorge or canyon. At times throughout the trip, you will get the chance to jump, scramble and swim in amazing natural beauty. Adrenaline will flow and excitement will be had.As one of the most experienced Canyoning in Scotland providers, your enjoyment is guaranteed. If you looking for something that resembles an inflatable armchair to whip you through the rapids then look no further. River bugging is high energy, adrenaline fueled excitement. A team of buggers work with our highly trained white water river bugging guides to see every nook and crany the river has to offer. If rafting is the 4x4s of the river, then bugging is the low profile sports cars, you will feel and see everything like never before. Excitement guaranteed. River Bugging takes place on the River Tummel near Pitlochry. A cross between a white water raft and a kayak, a river duckie is an excellent and exciting way to experience the river under your own control. Navigate the rapids and experience the thrill of being the captain of your own Duckie. Each Duckie sits two and each trip is guided by one of the experienced guides from a kayak. White Water Rafting Glasgow is in the very heart of Glasgow. Rafting is one of the most exciting river activities in Scotland and now you can experience the thrill and excitement in the centre of Glasgow. Whitewater rafts are engineered to handle everything the course can throw at them. 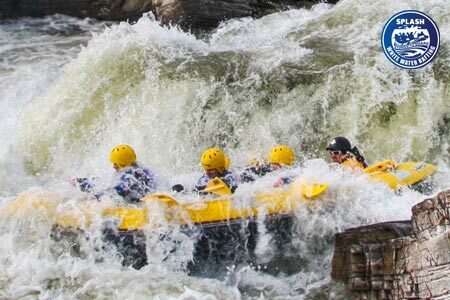 You and your team will work with one of our experienced guides to navigate the raging rapids. The course is 100m long, running up to 7 cumecs (tonnes per second) ie lots of water. The course brings the rapids fast and tight together guaranteeing an exciting adrenaline packed time, every time. The session last around 1 hr 30 min with 1hr on the water. Go around the course as much as you can in the hour. What goes up must come down, experience thrill of being at height in a secure and safe environment. Our experts will guide and assist you as you lower yourself down a vertical rock-face. Experience the weightlessness, the adrenaline rush of going over the edge and don’t forget to take in the views. Come and experience the excitement of climbing on real rock in stunning Highland Perthshire. Under the guidance of your instructor experience the feel of climbing and the pleasure of reaching the top! All technical equipment is supplied. The same excellent course as our Glasgow rafting adventure only this time you’re on a River Bugg!! 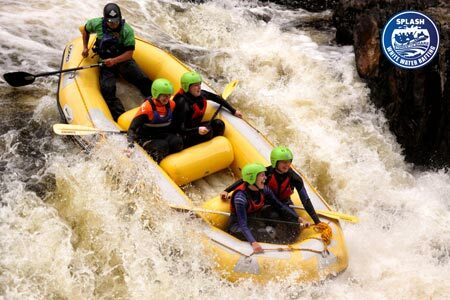 The course brings the rapids fast and tight together guaranteeing an exciting adrenaline packed time, every time. The session last around 1 hr 30 min with 1hr on the water. Go around the course as much as you can in the hour. We have numerous games to keep you and your team entertained for hours. 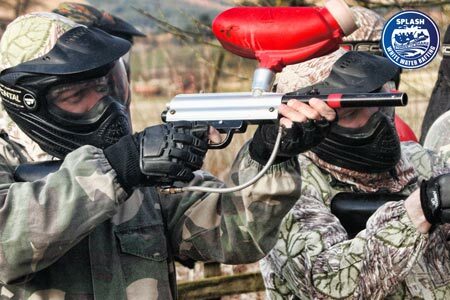 They are all fast paced and action packed, relive your finest action movie moments as you shoot paint at your friends. No retreat – No surrender: Hold the position against the attacking horde. Fatal extraction: Your team must relieve your forward patrol before the enemy overruns them. Hunter killas: Your team has to sweep the scrub remove all hostile elements. Ambush “Ally”: Return to your outpost and expect trouble. Take the plateau:Your team slogs it out in close combat to occupy the same objective. Snipers: Take out the enemy using guile and cunning or just survive. Go wild in the wild: Get a head count.